PECT worked together with Glinton and Peakirk to help establish and constitute a Community Interest Company. PECT worked together with the villages Glinton and Peakirk to help establish and constitute a Community Interest Company (CIC) focused on delivering Community Energy schemes which, once built, could provide a long-term income for reinvestment back into local community initiatives. Prior to this Glinton and Peakirk Green Group had been working with Peterborough City Council to audit the carbon footprint of each village and identify the most feasible carbon mitigation projects. This work was conducted as part of the European Regional Development Funding (ERDF) funded ZeCO2S project, developing an EU certification system for communities which reduce their emissions far beyond normal compliance. When the European project drew to a close in January 2015, it was agreed that the next step for the Green Group was to establish itself as a Community Interest Company, an entity which could take forward some of the exciting potential projects identified, in order to build upon the success of the ZeCO2S project. These potential projects range in size, cost and timescale form rooftop-scale Solar PV installations right up to a visionary energy park. Community energy projects are more likely to succeed where there is access to the right advice, expertise and information, and where members of the group have the necessary time, dedication and skills. To provide this support, PECT worked together with the Glinton and Peakirk communities to ensure they had the expertise and capacity to establish the CIC. 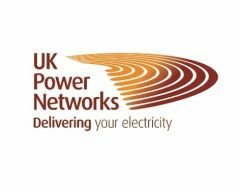 This project was made possible thanks to support from UK Power Networks through their Power of Giving scheme. The newly-established CIC will identify ways to raise funds for feasibility and implementation of renewable energy projects as prioritised by the community, contributing to a reduction in the villages’ greenhouse gas emissions. For more information, visit www.zerocarboncommunity.co.uk.